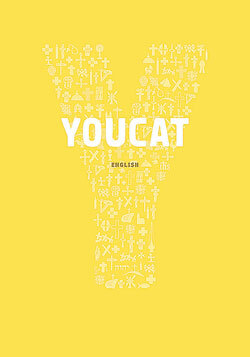 The English language Youcat: Youth Catechism of the Catholic Church is published by Ignatius Press of San Francisco. A copy of it will be included in each World Youth Day 2011 pilgrim’s backpack. Youth ministers across the Archdiocese of Indianapolis expect to use Youcat in their programs starting this fall. In her 26 years in youth ministry at Sacred Heart of Jesus, St. Ann and St. Benedict parishes in the Terre Haute Deanery, Janet Roth has had many catechetical books and resources come across her desk. 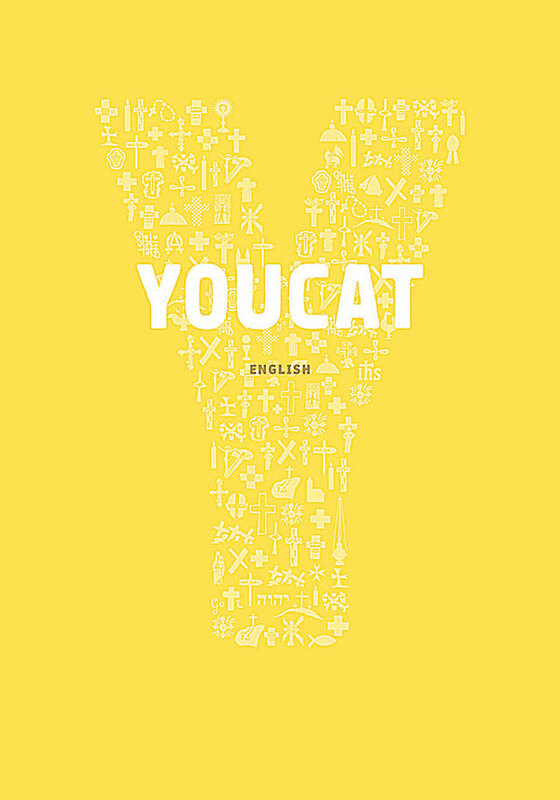 But none have quite been like Youcat, a new youth catechism sponsored by the bishops’ conferences of Austria, Germany and Switzerland that began hitting bookstore shelves earlier this year. It was written by several bishops, theologians and youths, and edited by Cardinal Christoph Schonborn of Vienna, who previously served as the general editor of the Catechism of the Catholic Church. Pope Benedict XVI has endorsed Youcat, and wrote a forward for it. While Roth values the backing of Youcat by such high-placed Church leaders, it is the book’s concise explanations of the faith and eye-catching layout that captured her attention. Finally, the margins of Youcat are filled with quotes from the Bible and spiritual writers throughout history that shed light on the adjacent question and answer. “It’s awesome,” said Roth. “It has the best explanation of the sacraments that I’ve ever read. And I’ve read a lot. I’m sold on this. So does Kay Scoville, director of youth ministry in the archdiocese’s Office of Catholic Education. Rachel Breher hasn’t had to dust off her copy of Youcat. A teenage member of St. Thomas More Parish in Mooresville, she received it this spring as a high school graduation gift from Marianne Hawkins, her parish’s youth minister. In the past, she was used to having her non-Catholic friends ask her questions about her faith. She expects that to continue when she attends the University of Indianapolis in the fall. For Rachel, Youcat is a great resource to help enlighten her friends about Catholicism. “I get a lot of questions about my faith,” she said. “And I answer them to the best of my abilities. Then I’ll go ask my parents or another adult in the Church and see if what I thought was correct. 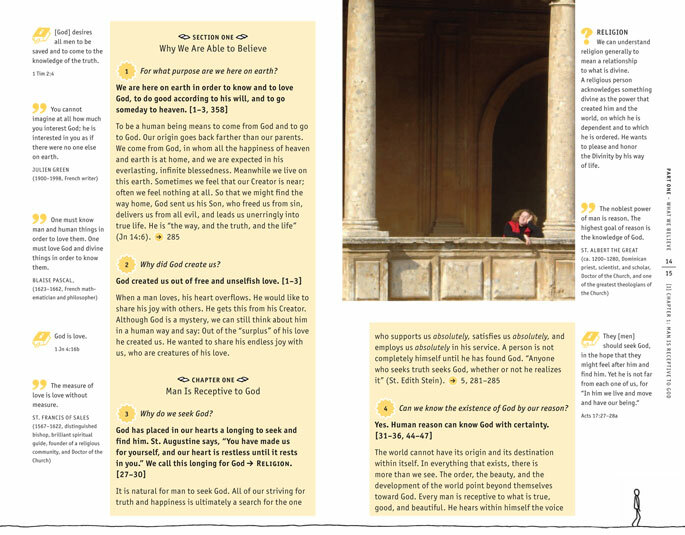 Youths and young adults around the world will soon find answers to questions about the faith in Youcat when it is distributed by the thousands next month at World Youth Day in Madrid, Spain. Ken Ogorek, director of catechesis in the Office of Catholic Education, is glad to see youths and young adults like Rachel getting Youcat into their hands. Youcat won’t only be accessible as a book that you can pull off of a shelf. Ignatius Press, which is publishing the English version, has made available an electronic version readable on such devices as the Kindle or Nook. There is a Facebook page for Youcat. And plans are in the works to make the content of Youcat easily usable in various forms of online social media. Scoville thinks that the way in which Youcat is written and laid out will appeal to youths who are used to getting much of their information online. At the same time, Scoville thinks that an important way that youths will encounter Youcat will be in faith formation sessions, confirmation preparation programs and youth ministry groups in their parishes.